Jesus Provided the ultimate for us at Calvary. 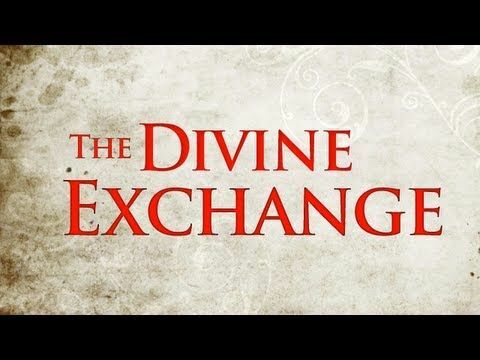 I heard many years ago when I was in ministry school a student preach a message titled "The Divine Exchange" I do not remember much of the content, I remember it rocked my world and the title expresses it all. Let's look at part of the exchange that He provided. Jesus was punished..... that we might be forgiven. Jesus was wounded ..... that we might be healed. Jesus was made sin with our sinfulness..... that we might be made righteous with His righteousness. "God Made Him who had no sin to be sin for us, that in Him we might become the righteousness of God." Jesus died our death..... that we might receive His life. "But we see Jesus, who was made a little lower than the angels, now crowned with glory and honor because He suffered death so that by the grace of God He might taste death for everyone." Jesus was made a curse..... that we might enter into the blessings. Jesus endured our poverty..... that we might share His abundance. Jesus faced our shame..... that we might share His glory. Jesus endured our rejection..... that we might have His acceptance with the Father. "He predestined us to be adopted as His sons through Jesus Christ, in accordance with His pleasure and will - to the praise of His glorious grace, which He has freely given us in the one He loves." Jesus was cut off by death..... that we might be joined to God eternally. Our old man was put to death in Him..... that the new man might come to life in us. The scripture is filled with promises that He has given us. I rejoice and receive all that He has for me. If you are not experiencing the benefits of His suffering. If your life is not reflecting the results of what He provided at the cross. If you need forgiveness or you need to give forgiveness but you are struggling. If you need healing in your soul. If you need to experience life that He promised, You know there must be more. If you need to enter His blessing. If you are living in shame and condemnation and can't shake it off. If you feel more rejected than accepted. He has already provided the exchange. if you have not received if you've not been able to take hold. Seek Him for it. Ask Him what is standing in your way. If you need assistance contact me for a consult discovery call and we can talk about how I can help you.